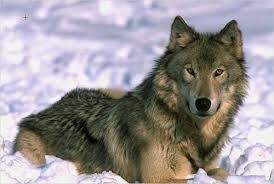 I have always had a fascination & respect for wolves. They are beautiful, mysterious, & deadly creatures of habit. Occasionally, you will find a lone wolf who has either been forced out of the pack or one who has opted to venture off on their own. But for the most part wolves stick together. They fight fiercely for what they consider theirs, claim far more territory than they could ever need, & hardly ever accept a new comer into the pack. Did you know that wolves will rarely attack if the prey stands its ground? They enjoy the rush & the chase entirely too much to just pounce on something. I see so many parallels between wolves & people. There are a lot of things going on all around me right now. Things that I have to be completely vague about. Things that have caused harsh words, broken friendships, numerous tears, countless questions, & endless prayers. Things that truly don't have anything at all to do with me, but somehow have sucked me down into the swirling vortex of them. I am watching people's lives being ripped apart as choices are made. I am watching people making snap judgements without knowing the whole truth. I am watching a beautiful, sacred institution on the verge of being ripped apart & I am screaming on the inside how wrong this is. Justin is one of the few people who sees things from my point of view. But do we get involved when clearly the lines have been drawn? Do we state our beliefs about fairness even though we don't know the truth? Do we risk it all just to make a point? I remember being thrown to those wolves just 3 years ago. What I wouldn't have give for someone, anyone to stand & fight for me then. That deserted island looks better every single day.